For the love of God, Meng, please stop!! I just saw this Matilda as part of the World War Toons line and had to get it. I can't get enough of these fun little kits!!! Hey, Dan. Where did you pick this up at? LHS or HL? Ebay from a seller in Hong Kong. It takes some time to get to the US, but the kit was $16 with free shipping and I rarely have problems with sellers in Japan and Hong Kong, so it's worth the wait to get it for a little less (plus, if it never arrives, Ebay will refund you). Meng just keeps adding to the line. I bought the Somua French tank over a month ago from a seller in HK and received it with no issues. I do wish HL would carry more than just the three that they have. Thanks for the reply, Dan. I'll look into that. I really like those kits. I'm not one much to bandy-about the word 'cute'--even in matters of popular culture--but that's too cute to pass up. Is that an artillary barrel or a bugle. Ha ha ha, maybe a little of both. These kits are on the whimsical side. I built two already and they are a lot of fun. You can bang one out in a day and they look great on the shelf. I plan to build my own Axis vs. Allies armada over time. They are cool for sure! 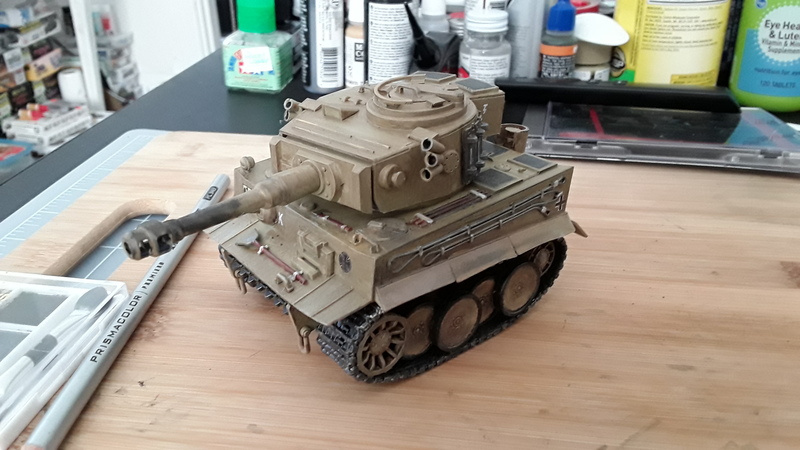 Just picked up their Panther for an upcoming Group Build (Eggs GB-look on the group build page). 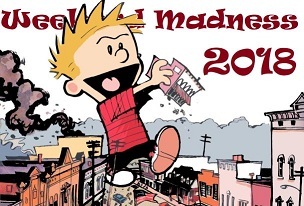 Think about joining in when it starts around April 1st. 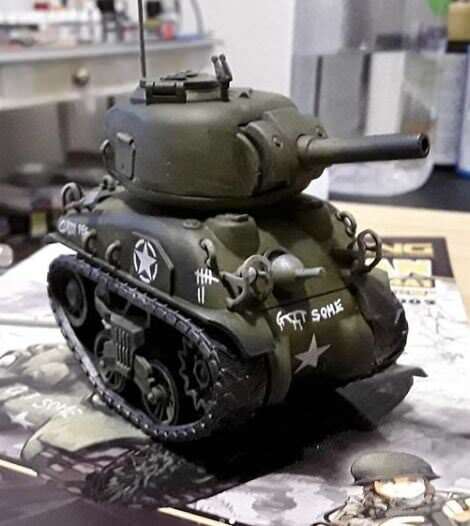 Very cool Dan, great work on the Sherman and Tiger!!! As GH said I'm going to kick off a GB for stuff like this on April Fool's Day. I'm getting more and more excited for it!!! I'll check it out. Thanks!! 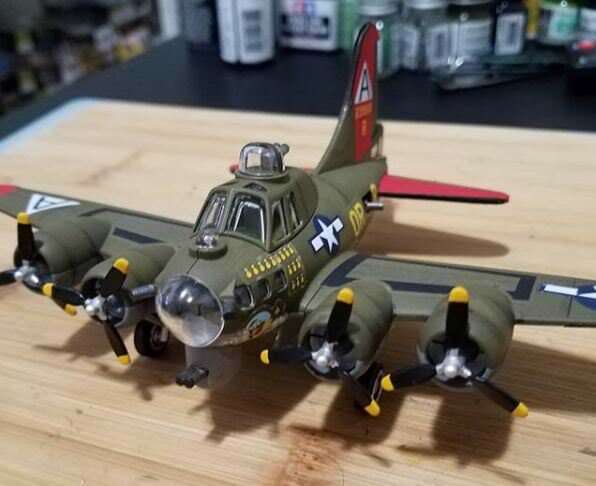 I also did this Meng Flying Fortress, which I guess technically qualifies as an Egg kit. 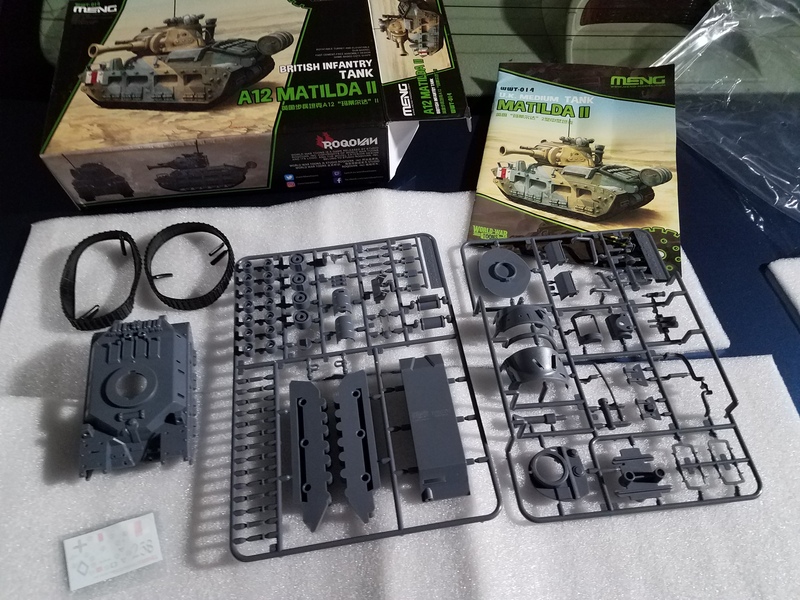 My Matilda arrived in Wednesday (about 1 month after ordering from China). It looks fun! One of the tracks was twisted but with some hot water and some weight on it, I was able to get it back in shape. 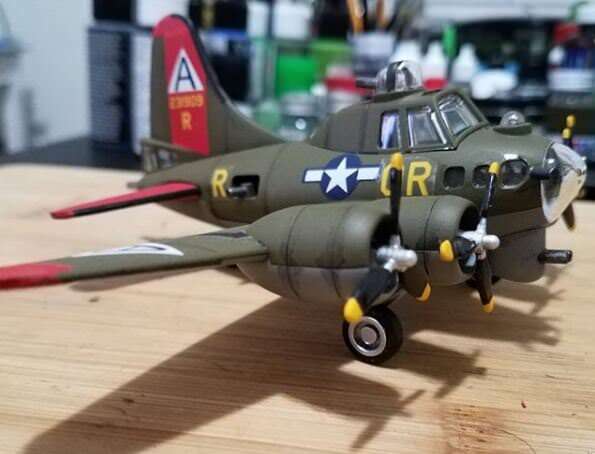 Dan: Wow how did I miss the B-17!?! Looks fantastic! 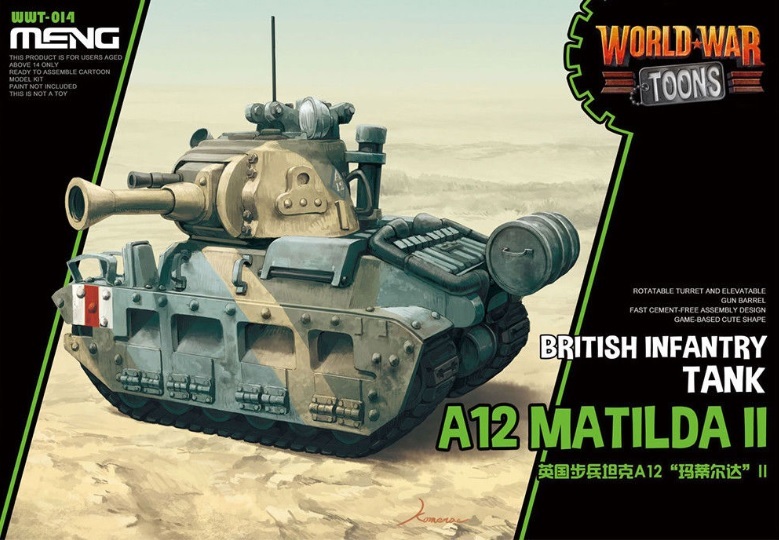 And the Matilda looks pretty friggin' cool! BTW: The Silly Egg Group Build starts in a month if you'd like to join us. Thanks. I just might join! War games: Axis and Allies. You'll need some Toon ships for a proper Armada. Might make a great gift for the Ship modeler who "thought" he had everythng. I wonder, is the U-boats cannon is bigger than the Tigers? Ha, I already have the Lexington. These little kits are just too much fun!